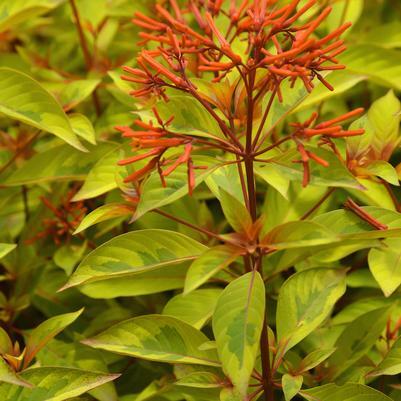 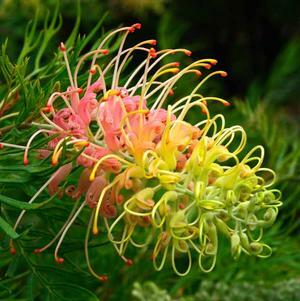 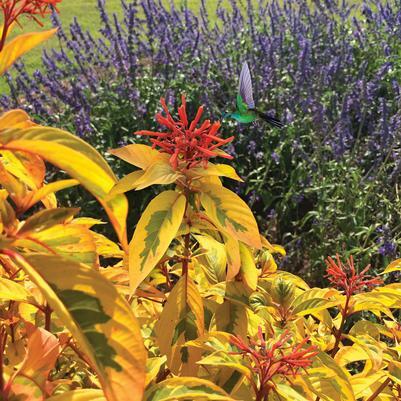 This flashy Firebush features bright green and yellow foliage with sizzling red-orange flowers from spring through fall. 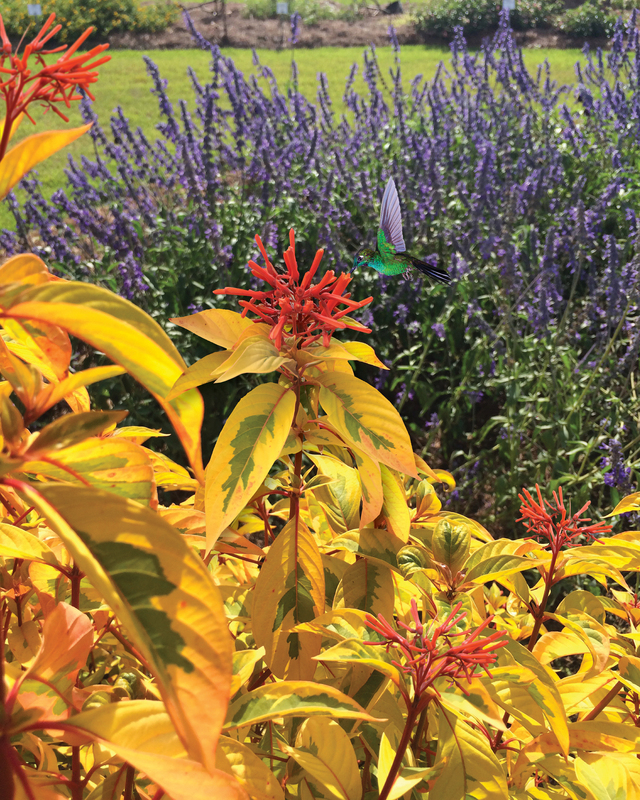 Upright spreader reaching 4 to 5 feet tall and wide. 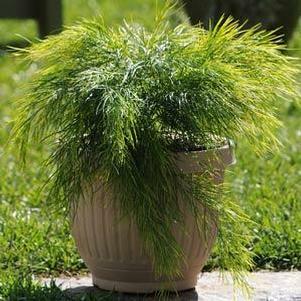 Perfect for creating a showy hedgerow or as an accent plant.